The world is a big place – Go explore it. I love travel. Ever since I was 18 years old, I moved out of my parents’ home to go to a photography institute to study still-photography. I didn’t finish my studies and I began my professional career when I was 18 years old. The beginnings consisted of doing photography for my friend’s high school senior photos, proms, and landscape photography. Technical learning in the classroom seemed to ruin the art for me. I didn’t want to know the technical aspects of photography, as I felt it took the mystery out of something unique. It’s like taking a class on how to be a great person – there isn’t just one way to do it. Photography is a unique art. Because of the advancements of modern technology, phone cameras, and Photoshopping – the art can easily be lost since anyone can take photos easily. True photography is found within finding the unique ability for the photographer to convey a feeling or tell a story from the images they produce. There are three technical factors on a camera, which will affect a photo and the composition – ISO, shutter speed, and aperture. The ISO is the camera’s sensitivity to light. The ISO is the camera’s sensitivity to light. Shutter speed is how quickly the camera takes a picture. Aperture controls the degree in which the lens is open. If you have a low ISO, the photo quality will be higher. This means the shutter speed must be slower to allow sufficient light in or the aperture must be opened further to allow sufficient light. When the shutter speed is slow, it allows more light in – but if it’s too slow you need a tripod, so there is no blurring of the image. If the shutter speed is quick, which is necessary for sports photography, then less light is taken in to the camera. If your aperture is open wide, you will get more light in but the focus becomes more narrow, resulting in a blurred background. If the aperture is smaller, you will have the background more in focus, but less light in the camera. A photographer knows how to manage all of these components to get the desired effect of the photos they want. The art is established when an image is captured to produce an aesthetically pleasing image in which your eyes will lead you through the picture, tell you a story, or is able to incite a certain emotion. The background of the image is as equally important as the subject of the photo. A protruding object can easily ruin an otherwise well-orchestrated composition. A photographer is able to add his or her personality into the photo. The photographer allows you to see life into their eyes. Photography can make you see an ordinary scene and add a whole new element to it. A photograph is an expression of the creator. Post-processing is practically a necessity these days. I used to hate computer programs, as I believed it ruined the art of what is naturally produced. However, a camera is just a machine that produces an image, just like a computer is used to produce an image. Cameras are limited in their ability to accurately capture the image coloring correctly and often need a computer’s program to achieve the desired effect. I know use Lightroom as a resource to balance out the photos I take and create a unique feel. However, everything needs to be taken in moderation. Computer programs can easily turn a photo into something entirely different and unrealistic. Creating images that have a refined look to it, while remaining natural is the key to engaging the mind in a way that relates to something realistically but also stimulates a sense of bring surreal. As I’ve done photography for some time now, I’ve decided to expand into other areas of creativity that I’ve wanted to explore and develop. My primary passions are travel, music, designing, and photography. I wanted to find a way in which I could blend all of these elements together into something unique and different. I have always had an interest in designing clothing. I love shoes and shirts, and I’m quite picky when it comes to choosing what I wear. I’ll often keep the same clothes for a long time due to the fact that I don’t often find styles that I think suit me well. I wanted to find a way in which I could start designing my own clothes in a unique way – a way in which it could be noticed in an oversaturated market. 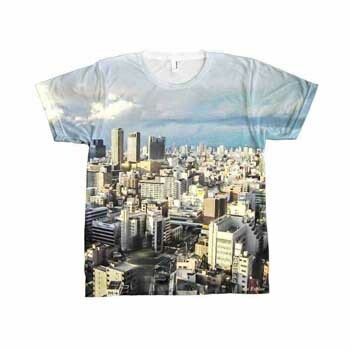 I found an online shop that specialized in designing shirts. Since the shirts were already premade, I wouldn’t have to worry about creating, measuring, and creating prototypes by myself. 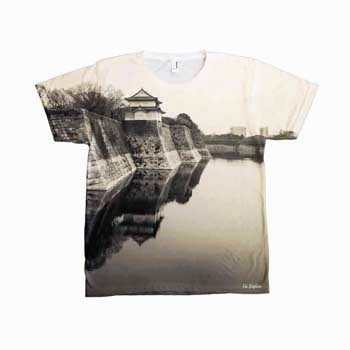 I started to upload photos that I had onto the shirts. Some of the shirt designs were able to cover the entire shirts. It had a unique look to it – one in which I could see my art actually worn as fashion. I created an online shop that I created from Spotify that makes selling online quite user-friendly. I uploaded all of the designs, found a manufacturer within the United States, and linked my online store up so that orders could be directed to the manufacturer. I want others to feel motivated to explore their creativity, to travel, to experience something new. Travel has given me such a different perspective on life. The experiences that I’ve had from following my passion of travel, creativity, and learning more has led me to want to share that with others. Go Explore Designs – www.goexploredesigns.com is the name of the store created which showcases photography from all over the world. It’s allowed a unique way to blend fashion and art together. Indiegogo has been a great platform to start spreading awareness and to raise funds for the promotion of the shirts, so I began a campaign at: https://www.indiegogo.com/projects/go-explore-designs-creative-t-shirts/x/5011738#/. The campaign offers the rare opportunity to have a shirt uniquely designed for you. Contributing will give you the chance to be apart of a clothing line that combines quality, comfort, and fashion. Since I currently live in South Korea, I’ve recently launched an addtional online store that manufactures and ships locally within South Korea. Go Explore Designs Korea – www.goexploredesignskorea.com. 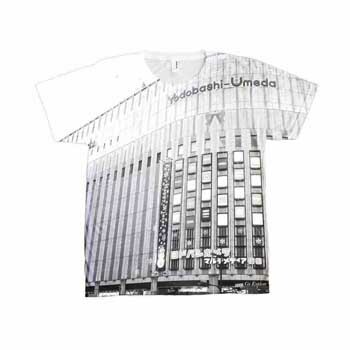 The clothing store will soon feature a unique clothing line dedicated to the city of Seoul and it’s landmarks. I hope these designs inspire others to do something unique with their lives. We’re not meant to work 9-5 jobs that we hate. There is such a big world out there waiting to be discovered. It isn’t until you start perusing what you are passionate about, that life starts to become exciting. I quit my day job earlier this month and it’s been the best and scariest experience of my life. At times, I put in 14+ hours of work into what I’m doing and I’m nowhere near as exhausted by what I do compared to how I felt working at a job I hated. I find myself blessed to be able to earn a living doing what I care about. It’s my hope to be able to encourage others to find something they are equally passionate about and live a full life.